The Jim Robertson Team | Your Branson Real Estate Experts! The temperature flucation… 60 today… 30 tomorrow… is a sure sign of one thing in beautiful Ozark Mountain Country… Spring Is On the Way!! Here and there we are seeing a few daffodils and hyacinths start to break through the soil and even a forsythia blossom or two has popped out. While we really had a very mild winter, you can still hear the collective sigh of area residents as we start to see these first signs of rebirth in these Ozark hills. It’s a great time to begin looking at properties if you’re in the market for a new home, prices are still very reasonable and interest rates are great! 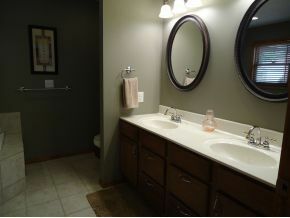 But what if you’re not in the market… what if you have a place you love… what can this sight do for you? How ’bout a few great home maintenance tips to start your spring out right. Tips that will carry you right through another Ozark Mountain Summer!! Recently, while browsing Popular Mechanics website I found 3 great tips and now is a perfect time to pass them right on to you, so here goes… you’ll love these! Keep the hose coiled in the garage (or outside) around a five-gallon plastic pail. Attach the base of the pail to the wall of the garage with a large-headed nail and wrap the hose around it—it’ll spin when you want to pull out the hose—or weight the pail with rocks and hide it standing up between shrubs near the spigot. When the hose is not in use, it’s wrapped around the pail. You can store garden supplies inside. “A smooth, clean deck surface is the best way to keep the mower in top cutting shape,” says Clark Oltman, senior service representative for the Toro Company. 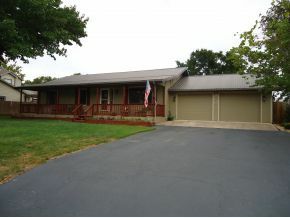 “Make sure the underside of your deck is clean when you start. Spraying the underside of the housing with cooking spray prior to mowing can be helpful,” adds Oltman. You’ll maintain your mower better and avoid these chokes if after you’ve finished mowing, you wipe off all debris with a rag or paper towel, then spray a thin film of light lubricant on the deck surface. Make gutter cleaning easier—and safer (no ladder required)—with a long spray wand made from a 1/2-in.-diameter by 10-ft.-long PVC pipe. Cut two 6-in. lengths of pipe. Then use PVC cement to join these short sections and two 90-degree elbows with what is now a 9-ft.-long pipe, forming a J-shaped hook. At the short end of the hook, glue on a solid endcap. Drill three 1/8-in.- diameter holes in the cap. Glue a threaded adapter onto the opposite end of the pipe and attach a garden hose. Place the short end of the J-shaped hook inside the gutter and turn on the hose. As you walk along the house, high-pressure streams of water will rinse the gutter clean. Here’s hoping your Spring will be off to a great start and this year’s home maintenance is the easiest ever! DALLAS, TEXAS (February 17, 2013) — Keller Williams Realty, Inc. announced today that it is the largest real estate franchise company by agent count in the United States, with approximately 80,000 associates. In recent years, Keller Williams Realty has posted record growth numbers, surpassing RE/MAX, Century 21, and now Coldwell Banker to secure the industry’s top position. The news, based on publically available information as of February 6, 2013, was announced in front of more than 10,000 Keller Williams associates during the company’s annual convention in Dallas, Texas. Willis also reported strong productivity gains by Keller Williams associates in 2012. Year over year, per-agent units increased 23 percent, closed volume was up 31 percent, and gross commission income rose 28 percent. Moreover, a record 91 percent of the company’s offices were profitable for the year. The company also announced its final profit share total for the year, which added up to more than $55 million in profits distributed to Keller Williams associates – an increase of 44 percent over the previous year. Keller Williams Realty President Mary Tennant updated attendees on the company’s charitable 501(c)(3) entity, KW Cares, which in 2012 awarded $2.7 million in grants to associates and their families in need. And finally, Keller Williams Worldwide President Chris Heller announced plans to expand into two new regions: (1) Germany, Austria, and Switzerland; and (2) Turkey. The company previously announced global franchise agreements in Vietnam, Indonesia, and Southern Africa. Heller also extended a big welcome to more than 70 international guests who were visiting from 18 countries. “One of the keys to Keller Williams Realty’s phenomenal success has been our ability to grow organically – from agent to agent, from market center to market center, from country to country – earning our reputation one person at a time,” Heller said. Keller Williams was ranked No. 9 on America’s Top 150 Workplaces – the only national real estate company on the list. And in April, Keller Williams co-founder and bestselling author Gary Keller will publish his latest book, The ONE Thing: The Surprisingly Simple Truth Behind Extraordinary Results. Nationwide the real estate market is continuing to make a great comeback. The combination of record low interest rates and abundant inventory due to the recent economic downturn have actually been very favorable to many first time buyers, retirees and investors. The only area of real estate , though, that truly seemed to grind to a screeching halt was new construction. Foreclosures, short sales and downsizing worked together to silence the saws and hammers of many builders and construction companies. But the good news of 2013 is that we are beginning to once again hear the rumble of delivery trucks, notice freshly formed concrete and watch rafters being placed. While new construction is cautious and calculated, it is happening at an ever increasing, slow and steady rate. We’re seeing brand new family homes rising in subdivision at very family friendly prices. Marc King, Keller Williams Tri-Lakes Market Center Leader, recently shared these year-end facts with our agents. These results of great agents working in a win-win atmosphere for a caring company add up to an advantage for both the buyers and sellers. Take a look and see why, whether you’re buying or selling, Keller Williams Tri-Lakes is the right agency for you. * Keller Williams is outpacing Tri-Lakes Board Of Realtors in New Listings taken by a whopping 36%. In fact, the board is down 4% in New Listings. 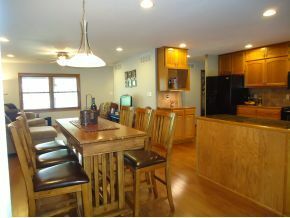 * 2012 was a better year for everyone and Tri-Lakes Board Of Realtors was up in Units Sold (12%) and Total Volume (12%). The exciting news is that Keller Williams was up in Units Sold (29%) and Total Volume (43%). Keller Williams is outpacing Tri-Lakes Board Of Realtors by 31% in Volume Sold for our clients and agents!!! * Time! While the average days on market grew from 164 to 172 for the Tri-Lakes Board Of Realtors, Keller Williams saw a decrease in the days on market from 180 to 164. We are selling our listings faster! * Knowledge! While the Tri-Lakes Board Of Realtors average List-to-Sell Variance is 90%, Keller Williams is at 92%. That may not sound like it is substantial. However, when on a listing appointment, we know that we are earning our clients an extra 2%. That is key in defending commission value and proving that our agents are educated in the market. * We continue to “Play well with others”! While the Tri-Lakes Board Of Realtors saw Co-op deals decline in 2012 by 5%, Keller William increased its number of sales of other companies listings by 17%. Christmas in Branson is unlike anything you have ever seen. As I have mentioned before, Branson is a community that comes together and celebrates what matters most, family. Christmas time is the best time to come see us. Christmas music in the air, tons of shops to visit, and trail of lights at Shepard of the Hills is the best way to start off the season! Elves Helping Santa Get Ready! Speaking of wonderful Christmas displays, Silver Dollar City Christmas is gorgeous! Over 1 Million light bulbs on the buildings alone! Silver Dollar City hosts two wonderful musicals that are free with admission! A Christmas Carol is one of my all time favorites. The story of Mr. Scrooge is a classic tale of being happy for what you have, and spreading the Christmas cheer! This huge cast takes you on a journey of suspense and fun! You will be shivering in your boots at the appearance of Scrooge’s business partner Jacob Marley, and dancing in your seat when you watch the cast twirl and spin to the sound of a well tuned fiddle. The wonderful cast of Dickens Christmas Carol! This year, Silver Dollar city opened a brand new musical in their park. It’s a Wonderful Life hit the stage in November, and has received nothing but rave reviews. I have plans to see it this week, and will be posting photos and my own critique soon! Keep checking back! Living in Branson has many perks. One of the big ones for me is the sense of community. From the entertainers of the area, to a Realtor like me, everyone does their part to make sure everyone feels welcome. 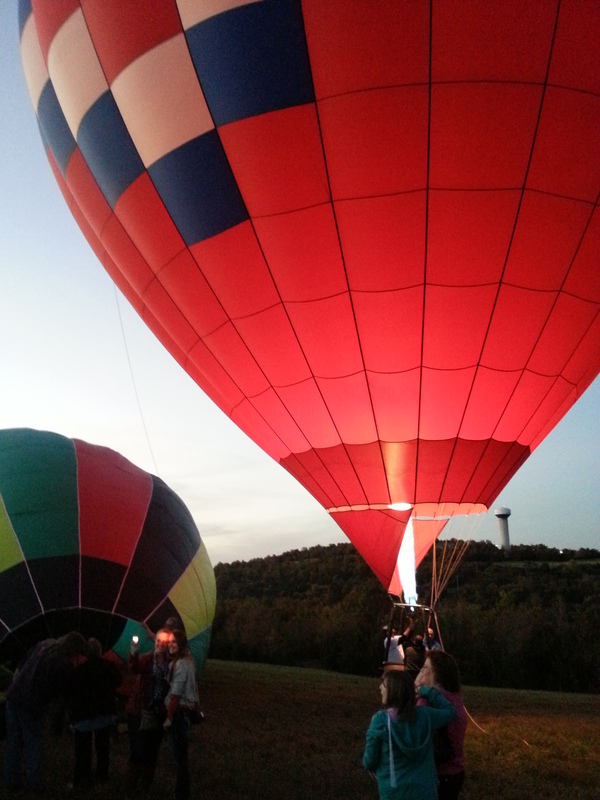 One of the last events I was so blessed to be a part of was the Balloons Over Branson Creek. 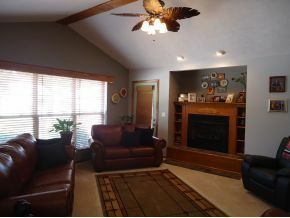 (Click here to learn more about Branson Creek, and Listings we have in the area). We had a booth out there, and met some amazing people! 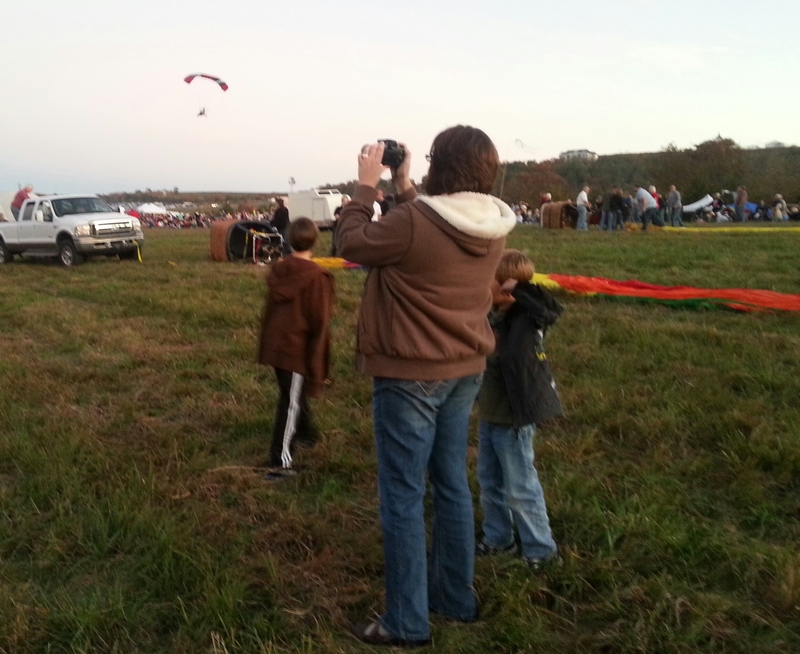 Friday was a tethered balloon ride, lets just say I was glad to be back on the ground! 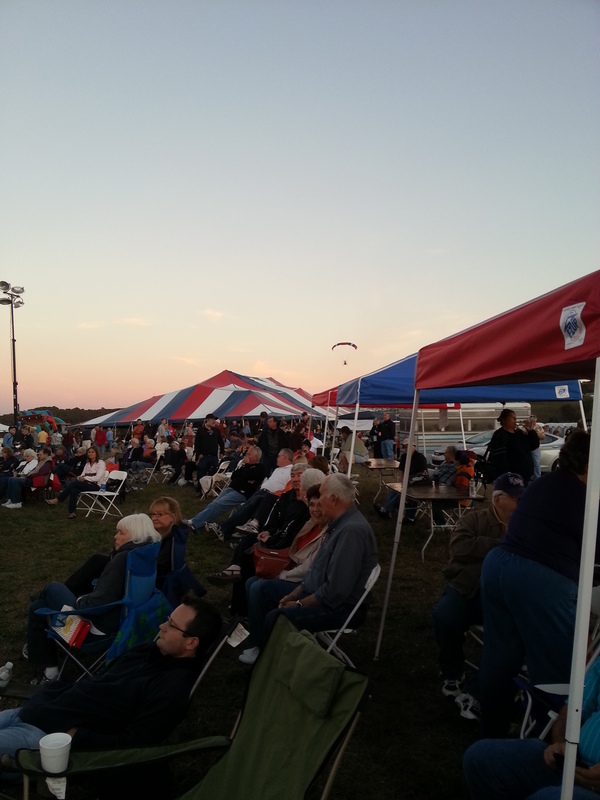 Saturday we had a huge crowd out there! Hayrides around the Branson Creek Property, bounce houses for the kids, great food by Famous Dave’s and Golden Corral, and wonderful music by the local college band made it a great experience! 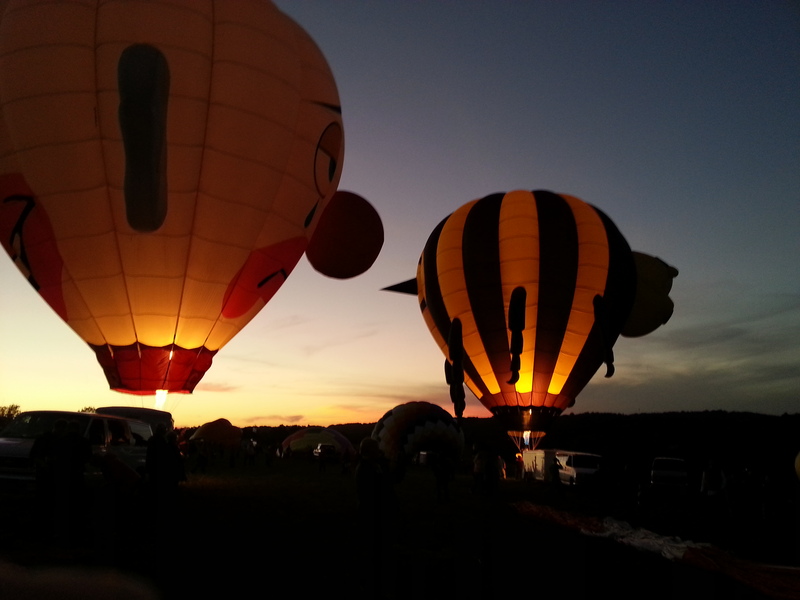 As everyone settled down and the sun was setting, the balloons were up, and they started to glow. It was one of the most peaceful and beautiful things I have witnessed. A friend of mine actually had a balloon that he made himself! (pictured below). This is a great experience that I look forward to participating in every year! Can not wait till next year!